with our intuitive LMS. Track while your suspects become prospects and then become customers. An integral part of any business is successfully converting leads into customers. That’s where we can help. Whether it’s capturing critical user information, maintaining detailed databases, tracking and analysing leads, we’ll provide the backbone to your high-performing secure lead management framework. Our customised software application service will help manage leads on-the-go thus reducing turn-around-times and increasing efficiency. Streamline your sales process and make a big impact. Find out how our LMS can do just that! 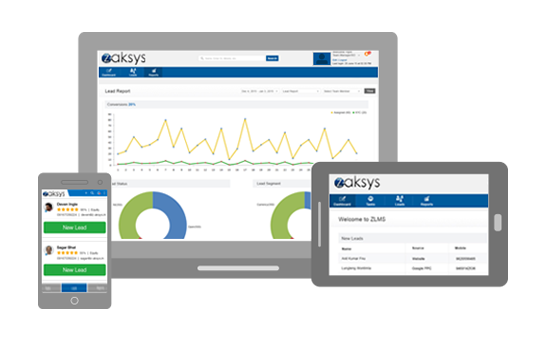 We offer LMS as a customisable solution. So if you wish to connect it to your existing ERP or CRM, it’s just a few codes away. Besides, the flow, terminologies, scoring algorithms are all customisable as per your needs. 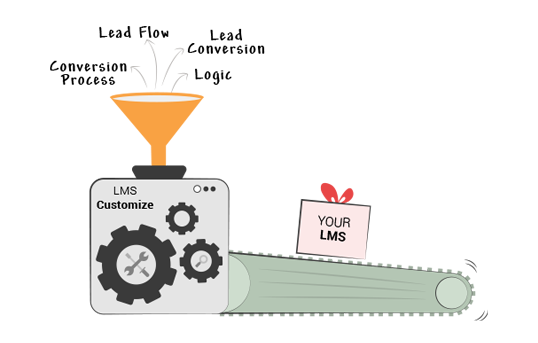 So your LMS will always be tailored to you. The LMS is equipped with an Android mobile application, which helps manage Leads on-the-go thus reducing the turn-around-time and increasing efficiency. The app also speeds up Lead updation, a task usually completed only after your sales exec returns to office.